Flying Kites | Robert Mitchell Jr.
My memory is a little fuzzy, but I must have been eight or nine years old at the time. My Dad was a fan of kites, and he got me excited about my first flight. We talked about it, planned for it, and I got excited. 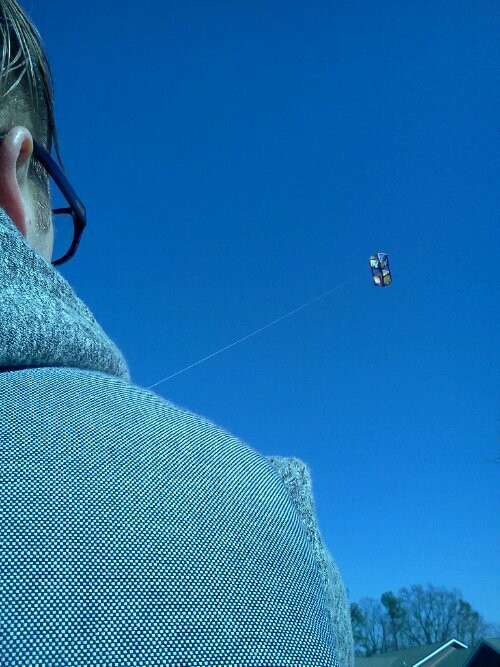 But when he brought home a box kite, I remember throwing a fit and saying I wanted a “real” kite, the diamond-shaped kind. I ruined that experience for him by being a little brat. And as ridiculous as it may sound, though I’m a grown up now with kids and grand-kids, I still feel guilty about being a little turd that day over 40 years ago. That old kite got rolled up and put away, and there it stayed until my childhood home had to be emptied for rental. That was three years ago. Pop had passed, Mom was moving to the old folk’s home, and everything had to go. Clearing out the junk from in the back of a closet, I found it standing there and I couldn’t throw it away. Along with it I found several other kites that my father had purchased with the hope of flying them with his kids, grand-kids, and great-grand-kids. I put them all aside and waited for for the right time. Yesterday I got them all out. Although the old box kite turned out to be too old and damaged to be flown, the other kites were in fine shape. 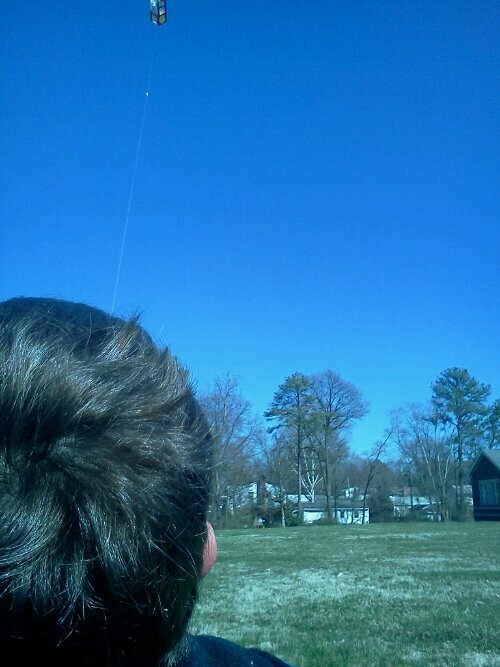 They say I’m a wordsmith, but there just aren’t any words to express how much fun it was to spend an hour or so flying kites with my son and grandsons, to stand in the sun and pass down the simple joy of watching a kite soar into the sky at the end of a piece of string. In an hour or so they are leaving for Japan for an extended stay of several years. These are the kinds of memories that keep you going when times are tough, that keep people connected across the miles, the kind of experiences that, no matter how hard the winds of the day-to-day may blow, keep you tethered to what’s really important in life. This entry was posted in Mysticism, Writing and tagged japan, kite, pop. Bookmark the permalink.